This little piggy went to market. This little piggy stayed at home. This little piggy went to the casino and brought all the damn money home. 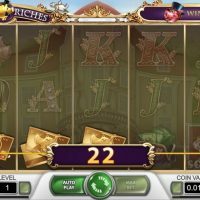 Piggy Riches is a regal and lush looking slot game with crisp, piercing visuals, cool symbols and a chilled cash registered themed soundtrack. In fact, the soundtrack is one of the better features of this game. Whereas with some slots the soundtracks are so annoying you have to mute them, on Piggy Riches the audio is discreet, delicate and charming. This game also has lovely animations and transitions too which work super-smoothly beside the excellent visuals. The symbols are all linked to pigs or money with a bag of money, a golden credit card, a pig-themed key ring, a purse of money and a piggy bank of money, plus the traditional A’s, K’s, Q’s, J’s and 10’s. 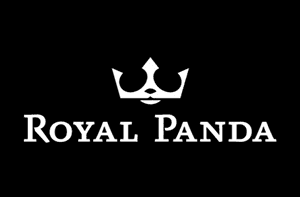 The best symbol to hit is the bag of money symbol which pays out 2,000/1 should you hit five in a row. 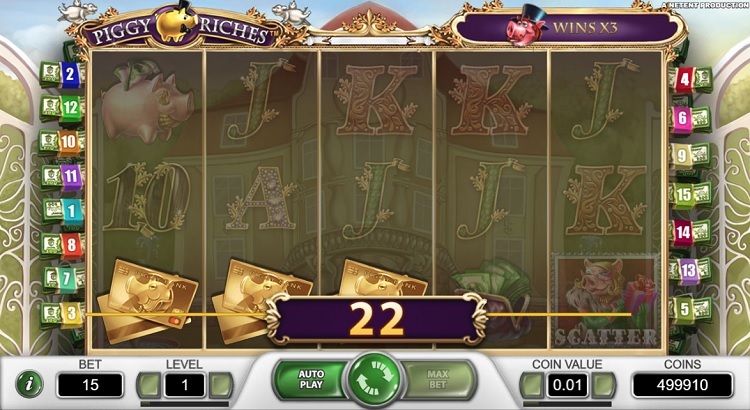 The bonus round is triggered by hitting three scatters on any of the five reels. 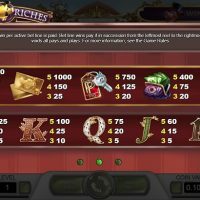 The bonus round just consists of free spins on Piggy Riches, but you have three options to choose from when the bonus round is activated. To see exactly what we mean, have a look at the video at the top of the page. 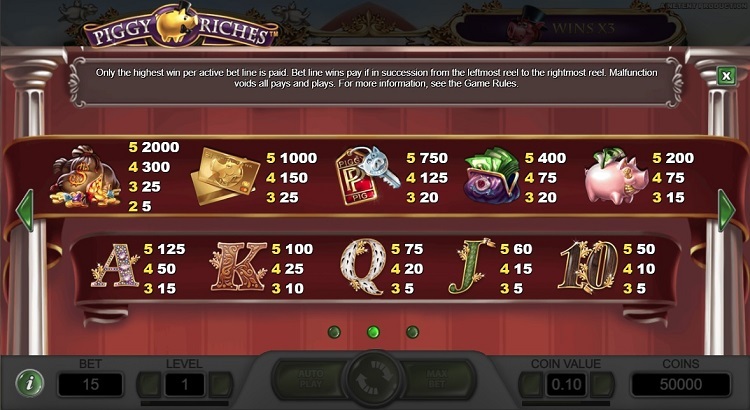 You can’t bet on different lines but you can wager between 15p and £75 per spin. The house edge is a very good 3.6%. 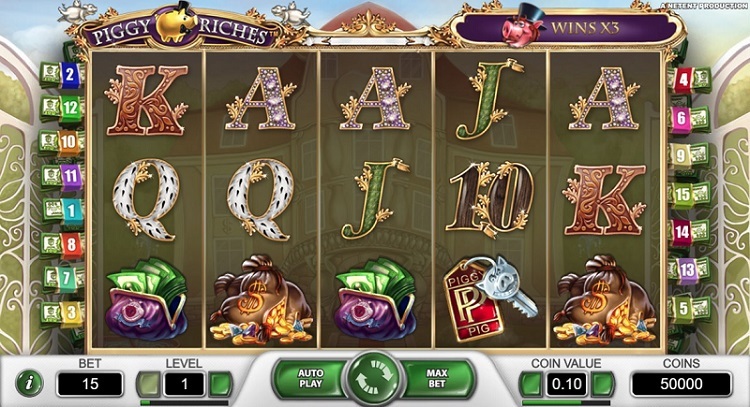 Piggy Riches is right up there as a slot game. 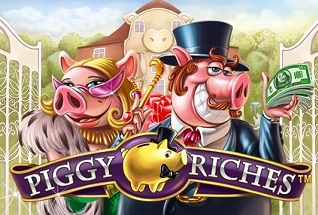 Created in 2010, you would expect this title to be quite far down the pecking order, but boy you would be wrong with that assumption because Piggy Riches is still up there kicking it with the big boys. 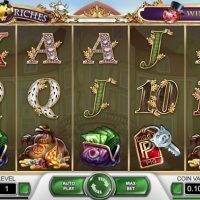 Of course, NetEnt always do a great job with their slot games, but this one might just top the lot because it’s so far ahead of its time, it’s incredible. Excellent visuals, top animations, a lovely soundtrack, a great bonus round, and a really low house edge; there is literally nothing that lets this game down.